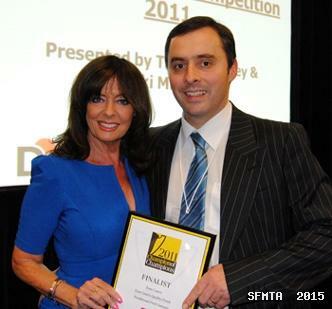 Vicki Michelle announces two SFMTA members - Tom Courts Quality Foods and Dales Traditional Butchers - finalists in the 2011 Champion of Champions Sausage competition. “Listen very carefully because I will say this only once” warned aactress and former ‘Allo ‘Allo star Vicki Michelle when she announced the results at the Champion of Champions Sausage competition held in the Bolton Arena on Sunday (2nd October). Tom Courts from Cowdenbeath represented Scottish hopes at the annual contest to find the UK’s top sausage and he was delighted to hear Vicki read out his name as a finalist.� The Meat Trade Journal organise the contest with award winning sausages from around the nation were judged against each other to find the ultimate sausage. 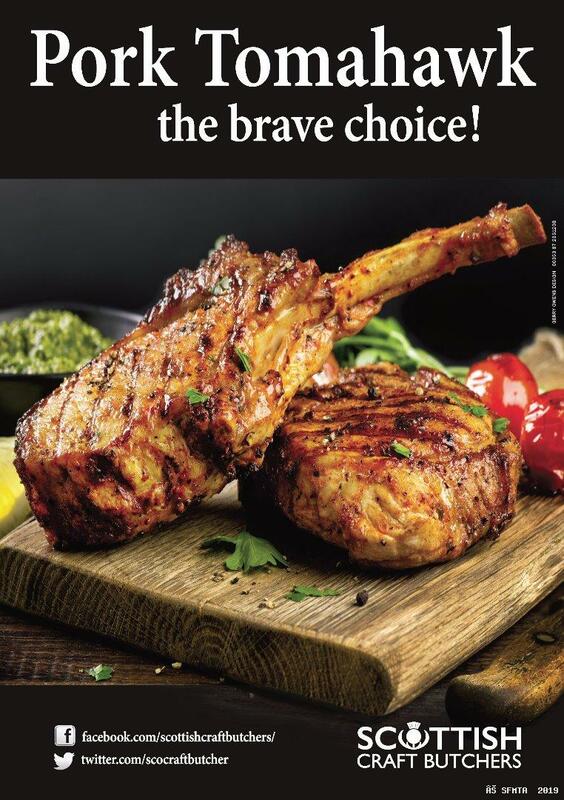 “I am delighted to be here to present the best British Sausage awards because there is nothing like a good banger. It is a staple diet not just of British families but also of British comedy. There are hundreds if not thousands of jokes about the sausage. Tom Courts Quality Foods banger qualified for the Champion of Champions competition after winning the Scottish Pork Sausage Championship in Perth in May this year. Mark Duckworth of Dales Traditional Butchers in Kirkby Lonsdale also made the final when winning a North West England Sausage competition for his Pork and Haggis Sausages.